Wade Sawyer is a Christian now, and trying to live his life as pleasing to God, not his money and land hungry father. Now Wade had found a woman he can love, blonde, blue-eyed Glowing Sun, a girl who was raised by the Indians and now believes she is one. A girl who doesn’t understand a word of English. Glowing Sun was raised by the Flathead Indians and is one of only a few left when men slaughter her village. When the few remaining blame her for the attack, she has no choice but to leave. Glowing Sun used to be Abby Lind in the white world, but Glowing Sun has no memory of that life. When her life as Glowing Sun ends, where does she belong? Wade loves her, but how can he win her heart when she pulls a knife at everything that moves? And will Wade be able to reconcile with his father before it’s too late? I met Wade in Ms. Connealy’s first book in this series, Montana Rose, but he was a bad guy in that book. I enjoyed getting to know him better in The Husband Tree, and was looking forward to reading his story. WILDFLOWER BRIDE is the third book in the Montana Marriages series, but it easily stands alone. I didn’t really care for Glowing Sun as much as I would have liked to, and the romance in this book was kind of added as an afterthought, at least it read like it, but otherwise, I enjoyed the story, and laughed out loud in a few places. If you are looking for a good historical romance, then pick up a copy of WILDFLOWER BRIDE today. $12.99. 320 pages. Sandi Smith has traveled to Hawaii to write her thesis about the last princess of Hawaii. She is struggling to move on with her life after her husband, John, has been reported MIA. Not knowing if he’s dead or alive, Sandi keeps her faith, and works on getting a degree. In Hawaii she meets with an old woman who claims to have been the princess’ best friend. Hannah gives Sandi a stack of papers and tells a story about the princess’ life. But all is not as it seems. As Sandi struggles to put the pieces together she gets news about her husband. And learns a shocking truth. LOVE FINDS YOU IN LAHAINA, HAWAII is loosely based on a true story that the author was told by an old woman she talked to in Hawaii. It is a different story than one you read in history books, so the notes in the back of the book don’t give proof of it, but it could be the truth. You decide. 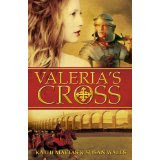 As a romance this one is different than others I’ve read by Summerside Press. Most of story is about the princess and Hannah, with brief visits back to contemporary times to see what Sandi is up to. The love story is more historical, there is only a hint of one in the contemporary portion. If you like romance and would like to read a story set in Hawaii, there are some nice details included. End notes are included. $12.99. 365 pages. Andrea Carter and the Price of Truth and giveaway!! Leave a comment (and your email address) to possibly win a copy of this book. Void where prohibited by law. Andrea Carter needs to earn her own money to buy her mother a birthday present. She is tired of being added on at the last second on the family gifts and having no say in what is picked out. So she talks her friend, Rosa, into working with her as a migrant orchard picker, but Andi and Rosa are in danger of being fired for bad work when their true identity is discovered. Andi is sent in disgrace to wait for her brother and returned to the house. When school starts, Andi lands a job in a general store and gives him what money she’d saved for a beautiful music box. But Andi has a penchant for being in the wrong place at the wrong time, and soon she finds herself in deep trouble that is tearing her family and the community in half. Not to mention, her horse, Taffy, is placed in danger. Andi must decide if the price of truth is worth the pain of losing Taffy forever. ANDREA CARTER AND THE PRICE OF TRUTH is the latest release in this series, and it was just as good as the others. I read the book through in one sitting, being pushed by my two daughters who are Andi Carter fans, so they could read it. Andi has a penchant for acting first and thinking later which gets her into a lot of scrapes which could have been avoided if she followed her friend Rosa’s wise advice. But this makes for a delightful story that will entertain girls from 8 and older. If you have a preteen or young adult then make sure you pick up any of the Andrea Carter series, or more specifically ANDREA CARTER AND THE PRICE OF TRUTH. $7.99. 144 pages. And someone else is determined to keep Thomas in jail—and Jessica off the case. Threats are made, damage is done, and she is injured…but is it enough to send Jessica home? Or will she find the real killer before he strikes again? MURDER IN PLAIN SIGHT is a mystery set in Amish country. I love Amish books, and I love mystery, but I haven’t read only a handful of books that combine the two. This book grabbed me from page one, even through both the hero and heroine are “English” and I had to keep reading to find out what really happened to put Thomas in jail as a suspect in a murder case. I figured out the truth fairly early on, maybe because I am a writer and I know how my mind works, but I had to keep reading to see if I was right. I highly recommend this book – or any of Ms. Perry’s other Amish books. $7.99. 384 pages. Andi's Indian Summer and a giveaway!!! Leave a comment to possibly win a copy of this book. Be sure to include your email address so we can contact you. Six-year-old Andi Carter and her pony, Coco, love to ride, and now Andi is training her new baby horse, Taffy. Riley starts reading Andi a dime novel about Indians, and it is real exciting and scary. Andi loves the story so much that she forgets to watch Taffy, so she has to ride after Taffy on Coco to catch her. But the dime novel doesn’t leave Andi—she starts having day-dreams about Indians trying to capture her. It’s scary, and Andi is afraid to tell her family about it. When she and Riley ride off in the hills they get lost – finally they find the creek, but something is moving in the bushes. Is it a rabbit? Is it a skunk? Or is it…Indians? Girls have read and loved the Andrea Carter series and now, for their younger sisters is Circle C Beginnings where they can learn about what life was like for Andi when she was just a little girl. A beginning chapter book written for 6-8 year olds, ANDI’S INDIAN SUMMER will help introduce your daughter to reading and teach them a valuable truth at the same time. If you are looking for good reading material for your daughter, pick up ANDI’S INDIAN SUMMER today. $4.99. 69 pages. Andi's Pony Trouble and a give away!!! Leave a comment to win a copy of this book! Be sure to include your email address so I can contact you. Andi Carter wants a horse of her very own. She will be six years old on her birthday and she thinks she is big enough for a real horse, not the dinky old pony that she has to ride now. Coco has belonged to her brothers and sisters and Andi didn’t want a hand-me-down pony. When Andi’s friend Riley offers to let her ride his horse, Andi is thrilled. Riley’s horse can gallop, Coco can only trot. She tries to prove to Riley she can get on a real horse by herself, but she can’t even reach the horse’s mane. What will Andi have to do to prove she’s big enough for a real horse? Girls have read and loved the Andrea Carter series and now, for their younger sisters is Circle C Beginnings where they can learn about what life was like for Andi when she was just a little girl. A beginning chapter book written for 6-8 year olds, ANDI’S PONY TROUBLE will help introduce your daughter to reading and teach them a valuable truth at the same time. If you are looking for good reading material for your daughter, pick up ANDI’S PONY TROUBLE today. $4.99. 69 pages. Ruth Byler is anxious to start school. She’s had the lessons prepared for months in advance. She’s bought new notebooks and freshly sharpened pencils for all her students. And she’s just putting the finishing touches on her desk when a pickup truck crashes through the back wall of the school house. Zachariah Bender was borrowing a friend’s pickup to go to the store for some supplies. He’s Amish and doesn’t have a license, but it wouldn’t take long to run to the store. But he lost control when a herd of deer ran in front of the truck. Now he owes a lot of money to fix the school and his friend’s truck. As Ruth and Zach get to know each other, they find out that the long-held opinions they had of each other were wrong. But Zach has a secret he’s never told anyone. Will Ruth think less of him if she learns the truth? A HAND TO HOLD has two different love stories in it. In addition to Ruth and Zach, there is also a story about Ruth’s brother, Stephen, and Deborah. I related more to Deborah and Stephen’s story but both were excellent. This book is a little slow starting, and the ending feels kind of rushed, but otherwise, it is a great read. I’m giving it 4.5 stars, but marking it as 5 since a half star isn’t possible on certain sites. I highly recommend this book as well as any of the other books in this series. Kathleen Fuller is an Amish author whose work I’m going to want to keep reading. Discussion questions are included at the end of the book. $14.99. 278 pages. Author: Richard L. Mabry, M.D. You’ve seen the reviews; the ones claiming “I couldn’t put it down! I stayed up all night reading this book!” Well, I just became one of those reviewers. It’s 1:00 a.m., and I’ve just finished reading MEDICAL ERROR: PRESCRIPTION FOR TROUBLE. While this is the second in the PRESCRIPTION FOR TROUBLE series, it easily stands on its own merits. It helps if you have a penchant for medical thrillers, but Dr. Mabry’s writing style captures your interest from the first sentence, and holds it until the last. Dr. Anna McIntyre, a surgeon at Parkland Hospital and an assistant professor at the nearby medical school seems to have her life well in hand. Until her patient inexplicably dies on the operating table. And her identity is stolen. And her credit rating is ruined. And she finds out that she is positive for the HIV virus. Throw in a pathologist who is still living in the shadows of a man he killed, a divorced lawyer who is also a recovering alcoholic, the DEA, and two local detectives, and you have all the ingredients for a page-turner of a novel. Throughout the book, Dr. Mabry effortlessly calls your attention to the patience and grace of the God of a Second Chance. But be warned . . . in this book, as in real life, nothing is ever as it appears. Discussion questions and sample chapters from Dr. Mabry's next book are included at the end of MEDICAL ERROR. 264 pages. $13.99. Becoming a man is about much more than age. It’s about sacrifice, perseverance, courage, and leadership. DANGER CALLING contains sixteen true life stories about daring and adventure. Stories that take you from shark attacks to mountain climbing and beyond. The stories are very well written, engaging and held my interest, but some of them are extremely gory and explicit. After reading the stories, there is a section of group questions for you to answer with a group of your friends, out loud, in a discussion. Then there is a section for you to answer privately, with plenty of lines for you to write your answers. > Would you be able to help a blind climber in the Death Zone on Mt. Everest? > What is your source of strength in a crisis? > Could you lead others into battle knowing some will die? > To What challenge is God summoning you right now? > How much are you willing to risk? This book will have you doing some deep thinking about your life and you would react in adverse situations. And it will teach you some biblical truths along the way. I have a teenage son greatly interested in survival so when I was offered the chance to review this book for Revell I jumped at it. It would be an excellent gift for your adventurer this Christmas season (or at any time). I highly recommend this book for any young man. $12.99. 215 pages. It’s Christmas time in Paradise, Pennsylvania, and four Amish couples experience hope, redemption, and new life. A Miracle for Miriam – by Kathleen Fuller. Miriam has been in love with Seth since they were in school together, but when she was fourteen, Seth stomped all over her heart. When he grew up he left the Amish faith. But now Seth is back, and he seems to be interested in pursuing a relationship with Miriam. But Miriam is having nothing of it. After all, she’s still the same four-eyed, ugly beanpole he made fun of when they were kids. Can Seth convince Miriam that in his eyes she is beautiful? A Choice to Forgive – by Beth Wiseman. Lydia has built a life for herself when her fiancé Daniel vanished one Christmas eve. She married Daniel’s brother Elam, and they had three children. But now Elam is dead, and Daniel is back, and he’s asking Lydia for forgiveness and a second chance. Lydia doesn’t believe she’s capable of providing either. How can she go back to normal life with her long lost love as her neighbor? One Child – by Barbara Cameron. Sarah has wanted a baby for as long as she’s been married, but her pregnancy ended in miscarriage. Now a very pregnant woman and her husband are stranded at Sarah’s house during a blizzard, and the Englisch woman is in labor. Will Sarah be able to accept the responsibility of carrying for someone so very different who has the one thing Sarah wants? Christmas Cradles – by Kelly Long. Anna Stolis has gone to relieve her aunt of her midwifery duties for the night so she can get away. But there are three women expecting. Anna’s aunt arranges for Asa Mast to stay in the barn just in case there is need of Anna acting as midwife. Sure enough, the first call comes and Anna and Asa take off in a blizzard to deliver a first child. With God’s design three babies are born that night and Asa finds a new hope for his life. But is it enough to make her give up her own practice and stay to help her aunt? AN AMISH CHRISTMAS: Expanded Edition is a collection of four Amish stories, written by four very different women. I absolutely loved this collection, though my very favorite story is A Miracle for Miriam, and my second favorite was A Choice to Forgive. Really, it was tough to choose between the two. I enjoyed the third story too, but it didn’t read as smooth as the first two, and at times seemed a bit of an information dump. The fourth story I read later when this expanded edition came out, and it was a totally sweet story of new life and love. If you like Amish stories and or Christmas stories, you will not want to miss AN AMISH CHRISTMAS. Hardcover, with an absolutely beautiful cover, this book is also wonderful for gift giving. Plus discussion questions and a couple Amish recipes are included at the end of the book. $16.99. 522 pages. Karen Imhoff and her siblings have found a man beaten half-dead by the side of the road in her Amish community. She is quick to help, and even offers the man lodging in their dawdihaus once he is released from the hospital. The thing is, he doesn’t know who he is. Quickly nicknamed John Doe until he remembers who he is, John tries to question the Amish community to see if anyone knows who he is. No one shows any signs of recognition but John does discover that he knows something about horses. How, he doesn’t know. As John and Karen fall in love, John begins to dread remembering his past. What if he’s married? When he does regain his memory, will that kill their romance, or will he somehow be able to return? 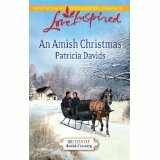 AN AMISH CHRISTMAS is the third book in the Brides of Amish Country series by Ms. Davis. I have read the others in this collection and think this book was the best of the trio, though it did drag a little. It was real interesting to read the vocabulary lessons as Karen and her sister Anna attempted to teach John to speak their tongue. If you are looking for a sweet Amish romance, then AN AMISH CHRISTMAS is a book that you should consider. It is a quick read, but will help to put you in the Christmas spirit. Discussion questions are included at the end. $5.50. 217 pages. Juliette Toussaint is a outcast in her remote French village of Briecourt since she was adopted from a faraway island. And the feud between the families of the Toussaints and the Colvilles rages—with both sides united in their distain of Juliette. Juliette longs for something to change—and she dreams of the tall, blond, handsome Charles that she met. But then the Germans invade France, and all the young men go off to war. Juliette, the other women, and some older or unwell men are all that are left in the village. When the Germans invade her tiny village, the town most rally to survive. Charles Lassone is a wealthy Belgium entrepreneur. He dreamed of joining the war and defending his country against Germany, but then he meets up with the French…and his car is stolen. Suddenly, Charles finds himself living the life of a beggar, hiding from the Germans, and struggling to survive. When he lands in Briecourt and hides in the cellar of the church—but if he is discovered by the Germans it will bring danger to the village and could cost Charles his life. I have read all of Ms. Lang’s books so far and have loved every one of them, especially her war based stories. LOOK TO THE EAST is a book that may start a bit slow, but it is engaging and by the time I got to page 50 in the book I was completely drawn in. I enjoyed getting to know Juliette and Charles and some of the other colorful characters in this book and I had to keep reading to see what would happen. Of German ancestry, I am horrified by the things my German ancestors have done, but that didn’t hinder my enjoyment of the story. I especially enjoyed the Author’s note that gave the history of the events included in this book. $12.99. 358 pages. Rose Ann Kauffman joined church when she was only fifteen to please her father and ailing mother. But she’s close friends with the Bishop’s foster son, a young man who has yet to join church and openly flaunts some of the English ways. Hannah, Rosie’s older sister, married an English man, and they have a young daughter. But now, Hen is yearning for her Amish roots. She takes a job in a fabric shop against her husband’s wishes, and starts wearing Amish clothes. Its causing a lot of stress in her marriage, but Hen doesn’t want to obey Brandon or to raise their child in the modern world. When Rosie starts being courted by a good solid Amish fellow, she is warned to stay away from Nick. But she and Nick are the best of friends. How can she abandon him when they are so close? But what would happen if she pushes him away? THE THORN is book one in Ms. Lewis’ newest series, The Rose Trilogy. I literally couldn’t put this book down, soaking up every word. Ms. Lewis has been my favorite author since the day I discover her first book and I have lived from book to book in her series. I fell in love with both Hen and Rosie, and even the secondary characters. It was hard to close the book after reading the final pages of the book knowing I’ll have to wait months for book two in the series, and even longer to read the final book and find out what happens. I know what I want to happen! If you don’t like to be left hanging, then purchase all three books when the final book in the trilogy comes out. Otherwise, pick up THE THORN and enjoy a totally wonderful Amish book by a best-selling author. $14.99. 352 pages. Callie Duflay has to have her causes. The rest of her family live white collar lives, but s he lives in a beach house and works at a camp with kids. When she discovers developers are planning to use the wildlife reserve in Otter Bay, Callie is instantly up in arms. She is going to stop this, one way or another. Gage Mitchell is easygoing, eco-friendly and professional, but he’s not about to give up a job just because some local woman is angry about it. Not even if the angry woman is cute. The two are at a stand-off, but they both have things in common. They care for creation and the environment, and they both defend what they believe in. But with them on opposite sides of the fence, will they ever be able to see the possibility of a relationship? A SHORE THING is the second book in Ms. Carobini’s Otter Bay series, but it easily stands alone. I couldn’t help but care for Callie as she starts out by adopting a stray dog and her concern about nature was apparent, even when she got a bit aggressive. Gage is an out-and-out sweetheart. I fell in love with him from the moment he was introduced. A SHORE THING touches on issues that are timely as more and more of our forest lands, or beach fronts, are being taken over by people. I was interested in who would win out over this issue, Callie or Gage, though I had my preferences. $14.99. 392 pages. Ms. Caldwell's writing style is beautifully poetic and so descriptive that you can see the place that she is writing about. Written from the memoirs of Ms. Caldwell's grandparents, the reader is able to get to know both Will and Katherine as they struggle to minister in China as missionaries. Highly recommended. The legendary romance of mistletoe unites two couples in love. An Appalachian Christmas by Irene Brand—Julia Mayfield promised her dying sister that she would take her young nephew, Bobby, to meet his paternal grandparents in Kentucky. The trip is eventful, with Julia and Bobby being forced to catch a ride into the hollow with the mail carrier, and when his old truck stalls out, a hero on a steed rides up and rescues them. David Armstrong is a WWII veteran, but he far from feels heroic. He returned home to the hollow to heal from the trauma of the war. When Bobby’s paternal grandparents refuse to see him, Julia wants to return home, but David persuades her to stay a while. Then a threat from David’s past comes too close for comfort. Will it show Julia what love is, and convince her to stay? Or will she flee for the safety of home? Once Upon a Christmas Eve by Anita Higman—Holly Goodnight and Owen Quigley have grown up together. Best friends since they were in diapers. But Holly has a story behind her life. When she was a baby she was abandoned in front of a gift shop in Noel, Missouri, and adopted by the owner. And now, years later, their shop has been named the best Christmas shop in America, and an author wants to write Holly’s story. Holly is swept into Van Keaton’s story, awed by his world of beautiful words. But when Owen launches a plan to win her back, Holly isn’t sure what to think. Owen—or Van? Which one should have her heart? LOVE FINDS YOU UNDER THE MISTLETOE is a charming collection of these two novellas, both of which flowed and were interesting and held my attention. I also liked how the first story, An Appalachian Christmas, played into Once Upon a Christmas Eve. I enjoyed the connection they had. 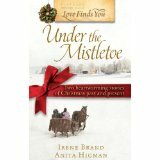 If you are looking for a great Christmas romance to read this season, look no further than LOVE FINDS YOU UNDER THE MISTLETOE. $12.99. 314 pages. Jenna and Andi Tikaani-Gray are trying to survive after the untimely death of Jenna’s husband, Marc. Twelve-year-old Andi had just had another brain surgery and now they were flying home to Alaska. There was an extra passenger on their flight, but suddenly things went weird. Jenna’s long time pilot and the passenger started fighting then the pilot shot the controls. When both men end up unconscious, Jenna is forced to take over the controls, but she doesn’t know how to fly. She managed to make a controlled crash, and everyone survives—barely. But now they have to survive. Cole Maddox (their extra passenger) insists they go up the mountain, saying that someone wants Andi and Jenna dead and they would look below the crash site, not above. So now, a winter storm is headed their way, and only one person is looking for them—and he wants them dead. Only one man might be able to keep them alive—Cole—and neither Jenna nor Andi trust him. NO SAFE HAVEN is the first fiction book by this dynamic mother-daughter writing team, but it won’t be the last. I enjoyed the suspense in this story, the knowledge that went behind the setting, the lifestyle, and survival, and the romance. My only complaint is that the point of view jumped so much in the story it was rather jarring. It was in multi-characters’ points of view and it seemed to change quickly, drawing me completely out of the story. Sometimes I couldn’t even get back into it before it changed again. This made it very easy to put the book down. That said, the story is good. The characters well-developed. The Alaskan setting very well described. If you are looking for a good suspense with a lot of military technology then NO SAFE HAVEN is a book you’ll want to read. Coming March 2011. $14.99. 352 pages. Kayla is the "youngest published full-length novelist from a royalty paying publisher" and wrote this book with Kim when she was 12. Of note: Kayla wrote all her scenes by herself. Experience an unforgettable year of spiritual growth. PAUSE FOR POWER is a 365-day devotional, arranged in a topical manner, covering themes such as love, peace, ministry, and much more. The devotionals are undated, numbered instead. So you can start on any devotional, or hop and skip around, or follow in order, just however you feel like it. In twelve months, if you follow the whole book, you’ll have studied Galations, Job, Ecclesiastes, Isaiah, Romans, I and II Corinthians, Philippians, Colossians, I and II Timothy, Hebrews, James, I Peter, and I John. But more important, you’ll gain insight into God’s word! I used PAUSE FOR POWER with my family over the course of several days and then read through it on my own, and I highly recommend this book. The devotionals do seem a bit short – but that’s because they are good and leave you hungry for more. This will make you want to turn to the scriptures, and as a result, grow. PAUSE FOR POWER is done in an attractive hardback with a dust cover. There is a ribbon so you can mark your place, and it would make a wonderful gift for someone on your Christmas list. Available now at your favorite bookseller. $16.99. 368 pages. Dr. Warren W. Wiersbe, former pastor of The Moody Church and general director of Back to the Bible, has traveled widely as a Bible teacher and conference speaker. Often referred to as the Pastor’s Pastor, Wiersbe has offered great encouragement to those with whom he has shared ministry. He has preached and taught in churches and conferences throughout the United States as well as in Canada, Central and South America, and Europe. His published work includes the popular BE series of commentaries on every book of the Bible which has sold more than four million copies. He has been the recipient of numerous awards including the Gold Medallion Lifetime Achievement Award from the Evangelical Christian Publishers Association. Dr. Wiersbe and his wife, Betty, live in Lincoln, Nebraska. Jake and Jess Bennett are now married, and as a wedding gift they were given about seventy wild horses that they are herding back to their ranch. But as they near their old home it seems things have changed. Some of their buildings and fencing have been destroyed and a house is build on their land—a house that isn’t theirs. Not only that, but all their Native American ranch hands have vanished. After a few days to rest, Jake and Jess decide to head down to the reservation to see if he can hire some more help. But when they get there they discover that the Indians are afraid to come back. They’ve been promised things by the government if they stay put. Jake manages to talk a few of them into joining him but they run into trouble on the trip back. HOPE’S PROMISE is the second book in Ms. Barley’s The Sierra Chronicles series. Readers will want to read book one in the series to see what has happened prior to this story beginning, but if you don’t have the first book, you can figure out what’s happening easily enough. Jess is a plucky heroine, handy with a gun, and working with horses. Jake is a sweet hero, kind of caring, but often out of his league when dealing with Jess. I couldn’t help but care for these characters and cheer them on as they dealt with the trials and struggles that they had in store for them. If you are looking for a good western historical, then HOPE’S PROMISE is one you’ll want to consider. $9.99. 334 pages. It’s cliché, but true: “A picture is worth a thousand words.” I was attracted to review this book solely on the cover art; the foot of a deceased person in the morgue, with the title of the book used as a toe tag. And yet, it is NOT the foot of a deceased person; there is none of the indications of death. It is a healthy, vibrant foot that appears ready to get up and walk out of there. Which is the point that Rick James is striving for, I believe. For the author, this is the secret ingredient of kingdom growth. “While we may not need to be tutored on the abundant life of the gospel, we need to be reacquainted with its more than abundant death. But don’t let this scare you; death isn’t quite the same since Christ consumed it. It’s been tamed and domesticated – it’s the bee without the sting. We no longer serve it – it serves us.” (pp. 17-18) For the author, death is the opportunity of a lifetime. Death doesn’t mean dead, in the kingdom of Christ; death merely makes resurrection possible. In this thoughtful and provocative work, Rick James fleshes out what it means to embrace the cross, to die daily, and to live abundantly in the freedom of that state. He engages the reader from the beginning with illustrations and anecdotes of Biblical principles which support his thesis: death is no longer an enemy. death doesn’t need to be spelled with a capital “D” any longer. death is the door to eternal life; in this world, and in the next. Wow. The writing is fresh, engaging, and powerful. He uses illustrations that people can connect with, and then bridges them to principles that will transform peoples lives. This is a life-changing book. 332 pages. $14.99. This is a distillation of over 20 years study on the part of the author. He calls you into the study with the likes of C.S. Lewis, George MacDonald, Oswald Chambers, Dallas Willard and many others. But don’t come in expecting to “get it all” in 10 minutes. Come in with your journal in hand, a cup of your favorite beverage, and the understanding that you are going to be here awhile. Because you have been invited to join in a conversation that has been going on since creation. A conversation about life, and living. And that conversation requires commitment; but the rewards will be worth the investment. This book is going to be a permanent part of my husband’s library. For such a short book, it is going to require an immense amount of study. I read it for the review; now I want to do the work to really understand and appreciate where the author is coming from. $14.99. 220 pages. Or maybe not. 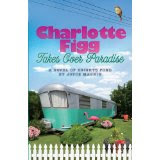 Paradise isn’t at all what Charlotte expected. The trailer is an ancient mint green monstrosity filled with raccoons and other nasty varmints. The ceiling leaks. It isn’t level. And the list goes on. When Charlotte contacts the seller, she is basically told, tough luck. CHARLOTTE FIGG TAKES OVER PARADISE is written by new-to-me author, Joyce Magnin. Written in first person, I quickly got to know Charlotte. The story did drag some in the beginning, and I’ve never been fond of books that begin with death, but by the time Charlotte decides to start a softball team the story starts picking up and I had to keep reading to see what happens and how it ends. The secondary cast of characters is a motley crew of one-armed heros, tattooed artists, elderly hermits, midgets, and other challenged (in some fashion) characters. It touches on some touch issues. I recommend this book to anyone who enjoys first person women’s fiction. $14.99. 400 pages. Mike Yankoski was your ordinary upper middle class kid. A college student, never wanted for anything, and happy with his life. Until God started speaking to him about the homeless. By his own choice, Mike started researching homelessness, talked to his parents about experiencing it, put a support system in place, and came up with a game plan. Mike and his friend, Sam, decided to experience life on the streets in six different cities: Denver, Washington, D.C., Portland, San Francisco, Phoenix, and San Diego. They started in Denver, in a transition site, a drug rehabilitation program, though neither Sam nor Mike was users. Only the man running the place knew the truth about Sam and Mike. Carrying only a backpack, a sleeping bag, and a guitar, Mike and Sam were determined to live like a true homeless person. They wanted to find out if their faith was real, if they could actually be the Christians they said they were apart from the comforts they’d always known, and to discover what it means to be homeless in America. UNDER THE OVERPASS is a captivating true story, but also gritty and challenging. Mike does include a disclaimer, stating that the language in the book was cleaned up significantly for our reading pleasure (thank you, Mike.) This book was on my son’s wish list for a while, so when I was offered the change to review the book I jumped at it. My son is interested in this type of stuff, and while I’ll be honest and say that I don’t want him to follow in Mike’s footsteps, I’ll also say that this experience definitely changed Mike’s and Sam’s lives—and their experience through the pages of this book will change yours. An interview with Mike Yankowski is included at the end of the book. $14.99. 240 pages. Jenny Higgins read in the newspaper that Rocky Creek, Texas, is the ideal place to look for husbands. Desperate to get her two sisters married off to wealthy men, the three of them arrive in town and Jenny sets up interviews, following strict guidelines. But it isn’t as easy to find suitable husbands as it was supposed to be. The men folk of the town are upset because only the wealthy ones are considered. And those that look good on paper don’t look so good in person. Marshal Rhett Armstrong has his hands full trying to keep an eye on Jenny and keep the town calm after she acts up. But he can’t help but care for her. Jenny needs all the friends she can get, but will she have any luck finding mates for her sisters? A SUITOR FOR JENNY is the sequel to A Lady Like Sarah but it easily stands alone. I was instantly captivated by this book, and laughed out loud in several spots. I literally couldn’t put this book down and feel that out of the two books I’ve read by Ms. Brownley, A SUITOR FOR JENNY is the best. Jenny is a very strong-willed heroine, not willing to let anyone get the best of her, so it was funny when people did. I also enjoyed getting to know some of the secondary characters in this quirky town. I highly recommend A SUITOR FOR JENNY and am looking forward to the next book by this author. $14.99. 320 pages. A feud between the Specks and the Grogans have gone on for generations. There is no making peace between the two families, especially when Larry Grogan starts stalking Opal Speck. When Adam Grogan wanders into Speck land looking for a stray cow, there is no way Opal’s family will forgive him for trespassing. Determined to keep bloodshed at bay, Opal blurts out the one statement that will stop her family in their tracks. She says that Adam is the father of her unborn child! Adam has two choices – the truth, saying he had no involvement with Opal, which would mean he dies at the hands of her family, or accept the slur to his name and marry a girl who’s trying to pass off another man’s child as his! THE BRIDE BACKFIRE is part of the Prairie Promises series. I thought it sounded like a cute story, but it was kind of jarring bouncing from one family to another’s point of view. I did like Adam’s attraction for Opal and thought it a shame that the two families hated each other so much. If you like Hake’s books you will enjoy THE BRIDE BACKFIRE. $4.06. 288 pages. Savvy’s friends are starting to send forwards—just the seemingly innocent ones that promise that if you send this to five things good things will happen and if you don’t bad things will happen. Savvy is drawn in when she doesn’t forward something and things go badly, and when she does, then good things did happen. And then she catches a friend reading the horoscopes. Savvy is torn. She’d been trying to use the Bible to answer her Asking for Trouble articles, but then she made two mistakes. She didn’t pray over her answers and ended up giving bad advice. When Savvy opens another forward a really terrible thing happens, and Savvy has to try to make it up. She possibly might even lose her hard-earned friendships. FLIRTING WITH DISASTER is the fourth and final book in the London Confidential series. I thoroughly enjoyed reading this whole series, and getting to know Savvy and her friends better. I also enjoyed this visit to Great Britain, even if it was vicariously. If you are looking for a great young adult series for your favorite girl, then make sure you pick up a copy of FLIRTING WITH DISASTER, and the other books in this series. $6.99. 250 pages. An Interview with Trish Perry and a giveaway!!! I didn’t initially plan to write romance, and my first novel (which isn’t published) had very little humor in it. But my style evolved to one that incorporates humor in the midst of more serious issues and always returns to romantic elements. Some of my books border on women’s fiction, and I keep thinking I might want to write historical, but my guess is that there will always be twinges of romance and humor in what I write—it’s just the way I think. Well, let’s eliminate the day each of my children came to know the Lord as well, since you probably get that answer all the time. Still, my happiest day would no doubt involve my kids. I don’t know if I can pick out a single day. But recently both of my kids have made a point of telling me I’m the coolest mom (my son said that when I spoke in a very blasé voice about a decapitated mouse in our garage) and that I had a terrific attitude about life (my daughter implied that aloud to her husband when I said I look at how blessed my life is and ask “Why me, Lord?” Her comment to her husband was, “You see why I grew up so optimistic?”). Those were two of my happiest days, when my kids expressed such positive feelings for me. There’s nothing better than knowing your kids appreciate you as a person, beyond your being their parent. She hit it exactly. Writing for publication is a dream come true for me, and it was (and is) well worth the years of work. I’ve met hundreds of fascinating authors, readers, speakers, and people who have shared stories of their lives with me, all as a result of my writing career. And the exercise of creating characters, throwing problems at them, and watching them address those problems is quite a learning experience for me. Sometimes I consider situations and life occurrences I never would have thought of before. I think you gain a deeper understanding of people and their behaviors and learn not to be quite so judgmental as a result of living through your characters. I have quite a few books going at the moment. I’m almost finished with Deborah Vogts’ Seeds of Summer, I’m wrapping up a collection of short stories by Flannery O’Connor, and I recently started Wendy Burden’s Dead End Gene Pool and Mary Modern, by Camille Deangelis. I read a lot of books at once—what I read depends on where I happen to be, upstairs, downstairs, in the car with an audio book, etc. Last week I turned in final edits on Tea for Two, the second book in The Tea Shop Series (Harvest House Publishers), and my manuscript for Unforgettable, a nostalgic romance set in the early 1950s (Summerside Press). Now I’m writing devotionals for God’s Grace is Sufficient—Decaf is NOT! (Summerside Press), a collection with Sandy Bricker, Kris Billerbeck, Loree Lough, and Cynthia Ruchti, scheduled for a September 2011 release. A companion devotional, Delight Yourself in the Lord . . . Even on Bad Hair Days, will release this spring. I’d love to travel Europe (comfortably), soaking up the culture, people, food, and scenery. I’d like to take my time at it. I don’t like traveling, typically, but I would if I were wealthy and pampered. Not that being wealthy and pampered is my life’s goal, mind you, but we are talking vacation here. That varies with each project. I tend to choose my actual locale if I have the choice—that’s the Washington Metropolitan Area. I’m familiar with the area, of course, but I also love it. This is an area rich with variety in which my many heroes and heroines can watch their lives unfold. But other books have required my skipping across the country to set up shop in a San Diego beach house in order to fit into an already-established series. I’ve also had storylines require dashing up to Manhattan, traveling down the east coast to Florida, and who knows what else to expect in the near future? Sometimes an editor will make a specific request, but usually I get to choose. I have a different answer to this question every time I get it, depending on my mood. Today, I’m thinking Steve Levitan and/or Christopher Lloyd, the head writers of Modern Family. I’d love to pick their brains for how they manage to create characters who are so ridiculous yet realistic, so silly yet sympathetic, so flawed yet perfectly suited to their familial makeup. I think they’re such creative writers, and they would make for an entertaining evening of conversation. My past passion with cooking has recently reawakened after years of going the easy cooking route—probably because I’ve recently finished dieting. That can’t be good. And I love film and getting together with my friends and family for food, laughs, and conversation. That’s it—throw the writing, reading, and day-to-day obligations in there, and I have no time for any other hobbies, seriously. I used to sing on the worship team, but that’s gone by the wayside these days, along with working out and dancing (other than the occasional impromptu boogie when a song simply will not allow me to do otherwise). Procrastination. I’ve learned it’s a family thing. My older brother is also a writer (a scholarly one), and like me, he works best under a deadline, and right up to it. I can easily work all day long and get absolutely nothing accomplished if I don’t have a deadline haunting my every waking minute. So I embrace the pressure of a deadline. I hate to sound like a broken record (I give this advice all the time), but I advise all authors to begin their days offering their talent and their writing efforts to the Lord. And then I advise them to work their hardest at the craft. Join a local writers’ group, join ACFW, read books like Writing Fiction for Dummies, Plot and Structure, and Plot Versus Character, by Randy Ingermanson, James Scott Bell, and Jeff Gerke, respectively. And, of course, make writing a daily habit. When you feel you’ve done your best, submit, and accept that everyone gets rejected in this business. If you’re offering your talent and your works to the Lord, He’ll guide your path, so you’ll know you can hang in there until you publish or until He draws you lovingly toward a different goal. Also appreciative of Steph is Kendall James, one of the kindest, most eligible bachelors in the area. But by the time Steph feels able to consider dating again, her run-away fiancé returns and tries to win her back. Steph is wary, but she and Rick always blended so well. I want them to be entertained, of course, but I hope they will also consider the issue of acceptance and how it plays into one’s decisions and attitudes in life. We need to continually consider whose acceptance we seek, and we need to judge the appropriateness of our stance. God’s acceptance is what really matters, and He made it clear, through His sacrifice, how much He values and accepts us for whom we are. Thanks, Trish! I loved this book. When Joy Ballard’s down-home cooking show Dining with Joy is picked up by a major network, Joy starts looking for a way out. After all, she can’t cook. Her old producer knew this and allowed all the cooking to be done by the prep person. But she hates the idea of lying to her new producer. When Joy is forced into a cook-off, which she normally avoids, Luke Davis, a trained chef, saves her skin, helping her to win the cook-off. Joy rewards him with a spontaneous kiss which is recorded on camera. But then Joy’s producer offers Luke a spot on the show, since she likes the chemistry between Joy and Luke. Luke accepts because he is facing debts that need to be paid and wants to regain his reputation in the elite foodie world. But what will happen when Joy is exposed? Will it ruin Luke and Joy both? Or offer them both new opportunities? DINING WITH JOY is the sequel to Love Starts with Elle but it easily stands alone. I’ve read all of Ms. Hauck’s books so far, but this one is easily the best one. I loved every minute of the sparks between Elle and Luke and it is the type romance I like where the attraction is immediate and not a hate-relationship forced into love. Luke and Elle are very well developed, as are some of the secondary characters. Some of the secondary characters are no more than talking heads though. And my biggest complaint is there is some low country slang (or endearments?) that I don’t understand which pulled me out of the story, and that some of the sentences appear to be unfinished. But I was reading an Advanced Reader Copy, so that might be fixed in the final copy. All in all, I thoroughly enjoyed this book and definitely think DINING WITH JOY is Ms. Hauck’s best one yet. Some recipes as well as discussion questions and an interview are included at the end of the book. $14.99. 320 pages. Are you looking for a Special gift to give this Christmas?? Are you looking for a special gift to give this Christmas? There is no gift more special and meaningful than the gift of the Gospel. Tapestry Productions Inc. (TPI) realizes this, and each work of art from the artists they represent is created for the sole purpose of communicating the Gospel message and the love and forgiveness of God with unapologetic boldness to a visual and greatly hurting world. 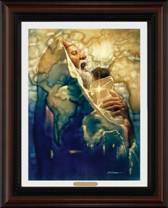 What would it have been like to hold the infant Jesus, the incarnation of God, for the very first time? Would you be forever changed to have been present at the Crucifixion? The stunning and heart-transforming artwork of award-winning artist Ron DiCianni (Tapestry Productions’ featured artist) is bringing these very images to life before the eyes of viewers across the globe and the life-changing impact is undeniable. Through fine art reproductions, Christian artwork, biblical prints, calendars, and books of the highest quality, TPI is ministering to families, individuals, and churches with the Gospel of Jesus Christ—a message that Christ lived, died that we may know redemption, and will return, and that this truth impacts our lives every day—all in visual form. Each work is of the highest artistic quality and skill but is intended for purposes far beyond decoration. Rather, every piece of exquisite art uses arguably the most powerful medium of communication—the visual—to tell the truth of the Gospel of Jesus Christ to the world, transcending cultures, languages, backgrounds, and denominations like no other form of media can. TPI artist Ron DiCianni has focused his career for the past twenty years on the Gospel message. While some may not immediately recognize the name, they do recognize his art. Others see his awe-inspiring pieces and are surprised that they have not encountered them before. The powerful images evoke so great an emotion that those who view DiCianni’s pieces do not simply want a reproduction; they suddenly recognize that they need it in order to share with others. Tapestry believes that a print sold is a life touched and their goal is to create an awareness of their art so that more lives can be touched by the Gospel message. Visit the Tapestry Productions website! Taylor Bestman is a female doctor—and about to set up practice in Gooding, Texas, with her twin brother, Enoch. But the town isn’t expecting a female doctor and hostilities are running high. Men are of the opinion that they won’t drop their pants for woman, and the women feel that they’ve been tricked, even though the Bestmans’ were clear about Taylor’s gender. Karl Van der Vort is one of the men who want nothing to do with a woman doctor. But when he gets hurt in a blacksmithing accident, he has no choice but to get to a doctor as soon as possible and against his will he becomes Taylor’s first patient. Karl can’t deny Taylor’s doctoring skills but he can’t come to grips with her unladylike occupation. But when Taylor and her practice are threatened, will Karl come to her protection? THAT CERTAIN SPARK is, I think, the fourth book Ms. Hake set in Gooding, Texas, but it easily stands alone. Taylor is a strong heroine, convinced that her way is right and completely ready to stand on her beliefs. Karl on the other hand has a drinking problem, has no use for God or for women doctors and is just as stubborn as Taylor. If you are looking for an okay historical romance or if you read the other books in this series, then make sure you pick up a copy of THAT CERTAIN SPARK. I’m only giving this book a three. $13.99. 348 pages. Savvy Smith, 15, is living in London with her family and still struggling to make friends. She has her job delivering school newspapers, and her secret column Asking for Trouble but she is lacking a true friend. But then, Penny, one of the popular girls notices Savvy and starts being a little friendly. Penny manages to get Savvy tickets to the fashion show happening on a local estate, and the editor at the paper promises Savvy she’ll finally have her name on a by-line. But then Savvy makes a mistake—a serious one—and finds herself grounded. Her choices? Hand the tickets over to another girl at the newspaper and possibly lose Penny as a friend, or keep a promise she made to her younger sister. This may turn Savvy’s dream into a nightmare. I thoroughly enjoyed this second book in the London Confidential series by Ms. Byrd. Savvy is a realistic character that any young teen girl can identify with and Ms. Byrd writes with realism and wit. My two daughters completely love this series (we discovered it on book three) and so I was so thankful when the author sent me books one, two and four so we could complete it. If you are looking for a great series for your daughter to put under the Christmas tree then the London Confidential series would be excellent. Great series. $6.99. 280 pages.